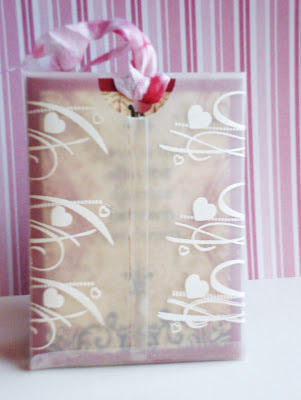 cut and emboss it with white embossing powder. Stamp used was from Great Impressions H172. I cut one med heart, out of soft aluminum and stained it with Red Pepper Alcohol Ink and ran it though my Vintaj Embossing folder 657933. 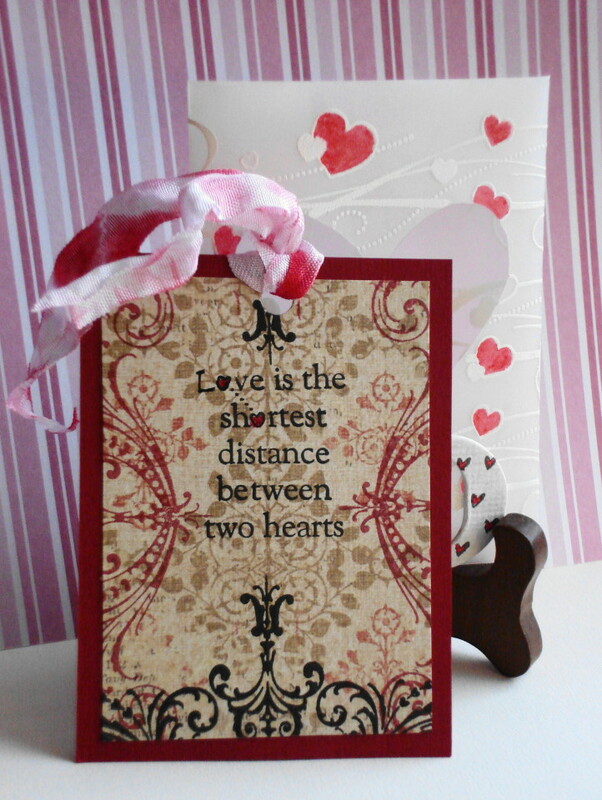 The other heart was cut from Christmas ribbon. 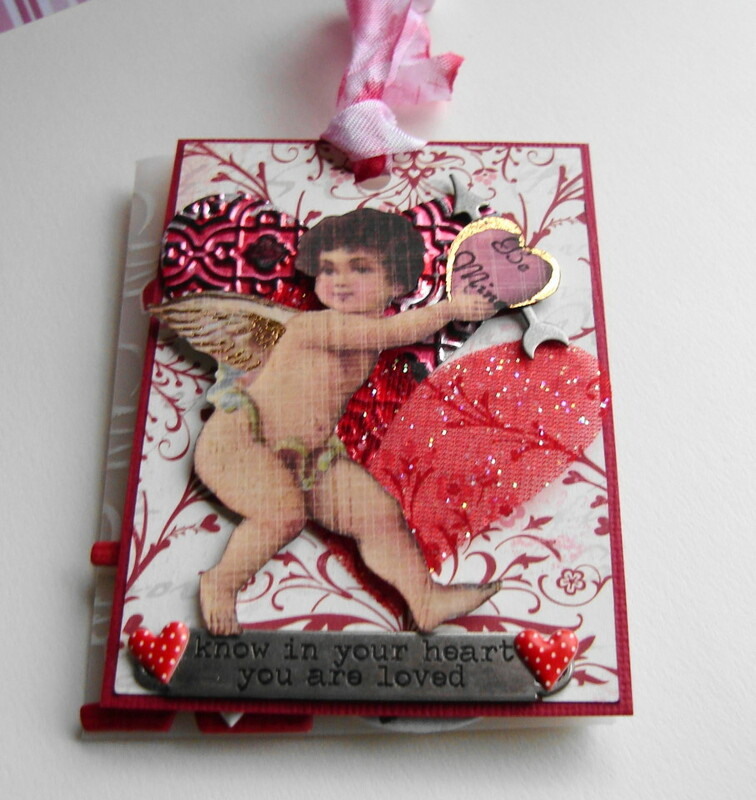 Added Tim Holtz’s embellishments (arrow and word band). Plus two 3D hearts. Back of card stamp credits are Tim Holtz and Hero Arts. Thank you for your time today, hope everyone is well and inside staying warm. Only you can turn a plastic bag into a work of art! 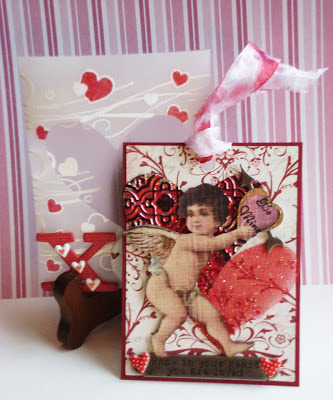 Vada, this is gorgeous and I love how you combined so many elements into such a wonderful Valentine! I checked out your weather forecast and it is going to be a cold one! Great weekend to stay in and play! Hugs! Its all in the details GF and you've got it going on! 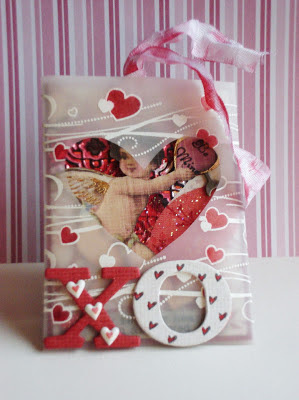 Great idea altering the packaging and Love your Valentine! Great way to transform a plastic bag- loving your Valentine!!! Vada, these are fabulous! I love the metal embossing and the cut-out as well. What a transformation of the bag!